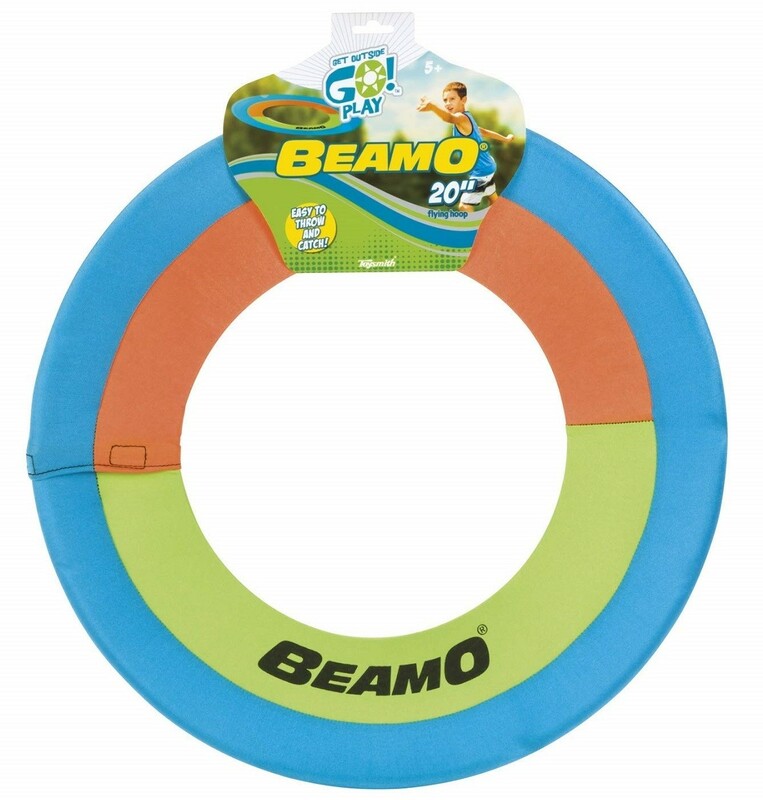 BeamO is a giant, soft flying hoop toy, designed for ease of control, catchability and aesthetic appeal. Most people will feel like experts within 15 minutes of play! 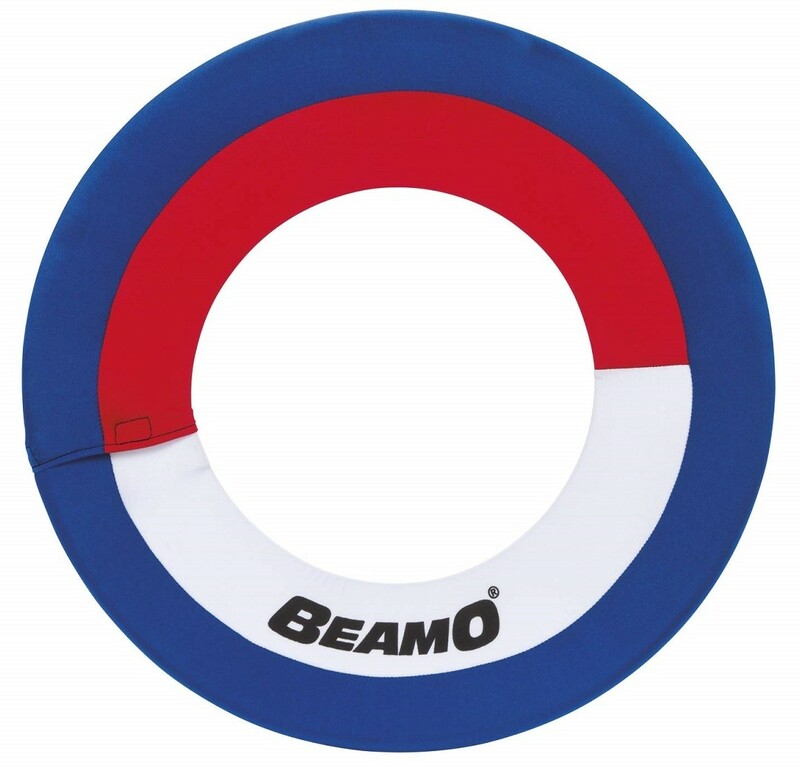 Lightweight yet durable, BeamO is designed for long life under normal playing conditions. BeamO is best played on grass or sand, as concrete and asphalt can scuff the spandex sleeve. The washable sleeve may be hosed off when dirty and should be cleaned after pool or salt water use. The BeamO will fly from 20 to 150 feet with ease depending on the age and strength of user. 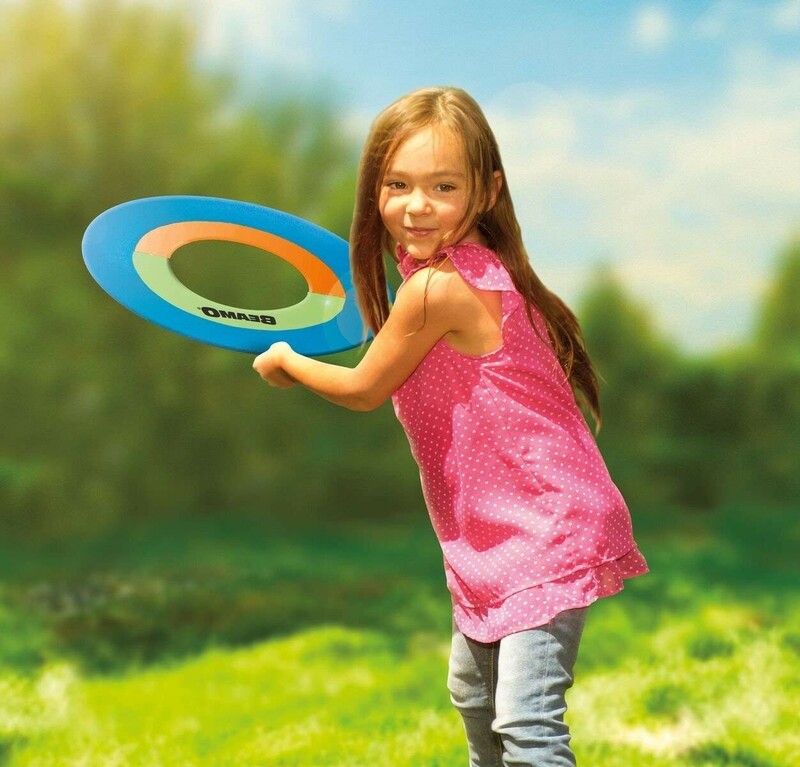 The BeamO is not designed for extreme distance throws. BeamO comes in a variety of three color combinations, subject to fabric availability.